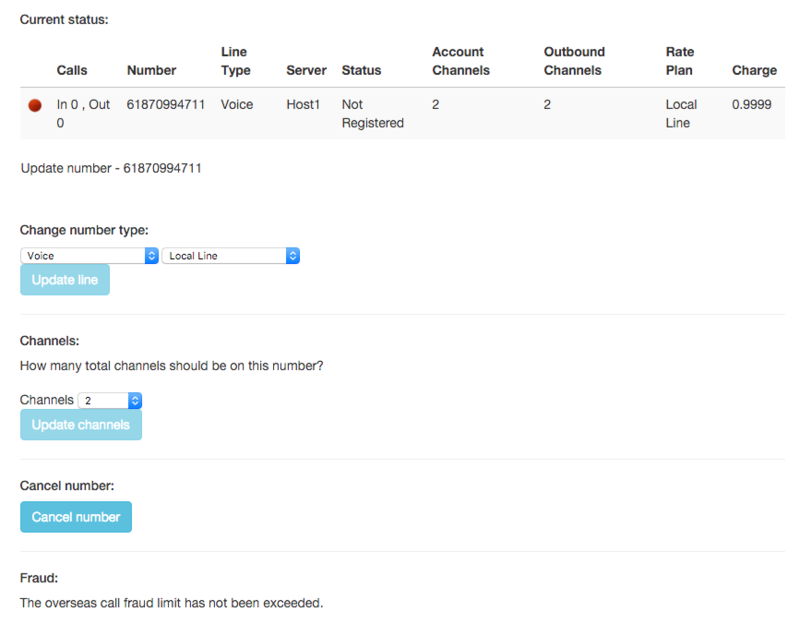 In the Management CAP you are able to manage and add numbers, add channels and port numbers across from different providers. Here you can view all the numbers o the customers account. 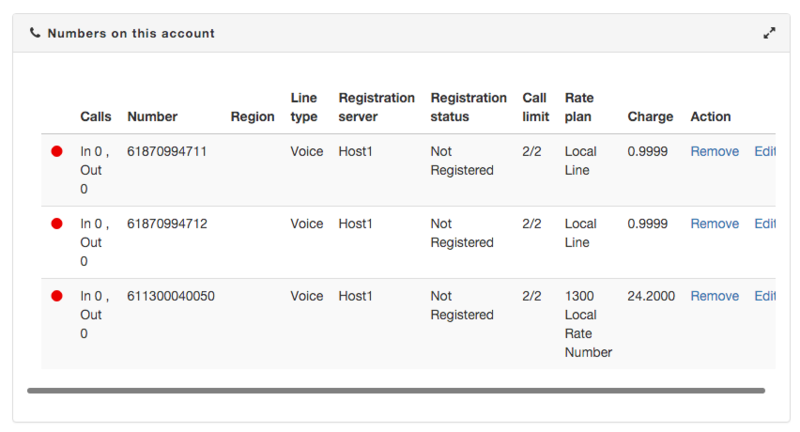 Here you can see the line type of the number, registration server and status, call limit, rate plan and monthly charge. Click Remove this will delete the number from the customers account. Click Edit, here you can update the line type, channels or cancel the number. In the Add numbers section simply select: State, Region, Line type and Rate type for the number. If you are after more than just a single number we can order it for you. Use the Order Number form to get the following numbers. If your customer is after a particular prefix range for a region we can order numbers on your behalf, minimum order is 10 numbers. If your customer is after a 100 Number Block. If your customer is wanting either a 1300 or 1800 number. A simultaneous call includes calls on hold, in a call queue or Auto-Attendant, as well as an actually call. Each call requires one channel, and a call on hold requires one channel. The ratio of channels to number is not 1:1. So you may want to consider the number of channels you add to a plan in line with the numbers you allocate, eg 10 x numbers and 5 x channels. A simultaneous call includes calls on hold, in a call queue or Auto-Attendant, as well as an actually call. Set the number of channels you will include with this plan. You can offer more channels via Channels setup. In the Additional channels on this account section simply select the number of channels you would like to add to this account. Within the customers PBX they have the ability to delete or add a number to their account in the Manage numbers section.